After dropping two of three games to the Texas Rangers in their fourth series loss of the season, the Yankees now head to Boston as they look to get back on track. The season debut of the greatest rivalry in all of baseball will feature a 3-game weekend series with Friday and Saturday’s games beginning at 7:10 PM ET and the series finale beginning at 8:05 PM ET which will be part of ESPN’s “Sunday Night Baseball.” The Yankees will look for a change of fortunes for an offense that has been absolutely abysmal to this point in the season. Let’s take a look into each of the matchups. Once, again Masahiro Tanaka will have to play “losing streak stopper” for the Yankees and to this point in the season, he has lived up to the top tier pitcher the Yankees have expected him to be. 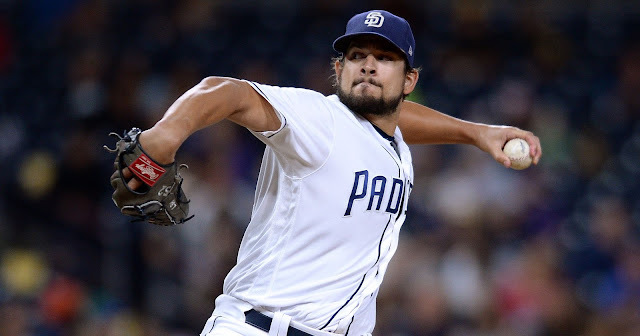 After failing to get through 6 innings in his first two starts, he has gone 7 innings in his last two starts, and has allowed 2 earned runs in each of his starts this season. If Tanaka can keep the ball in the yard against a dangerous Boston lineup, this is surely a winnable game for the Yankees against a prospect in Henry Owens who has been less than stellar to this point. 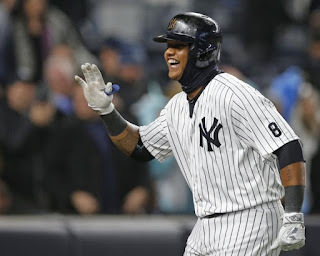 Of course, the Yankee offense is going to have to come to play, but in a hitter friendly ballpark, game one looks to be a game for the Yankee offense to break out and pick up a much needed win to open up the series, and set the tone going into the weekend games. Game two of the series will feature two pitchers trending in polar opposite directions. Michael Pineda has been all over the place for the Yankees, and you can make the case that he has been the worst starter in the rotation to this point, which is disappointing considering the high expectations Yankee fans alike have for him. Pineda owns a career 4.86 ERA against the Red Sox so this could be a dangerous game for the Yankees. However, Pineda is due for a nice outing, so maybe the intensity of the rivalry will play to his favor and he can get back on track. On the flipside, Rick Porcello, who struggled mightily in 2015, is putting together a solid bounce back season thus far in April, and he’s looking more like the pitcher that Boston invested $80 million in during the 2014-2015 offseason. Porcello’s 4 wins in each of his 4 starts put him in a tie for second most in the league. Opposing hitters are only hitting .200 off him (compared to .287 in 2015…ouch) and he has a sub-1.00 WHIP which currently sits at 0.94. Additionally, Porcello gas 30 strikeouts through 25.2 innings, which is pleasing for Red Sox fans as Porcello hasn’t ever been much of a strikeout guy (834 K’s in 1271 career innings). 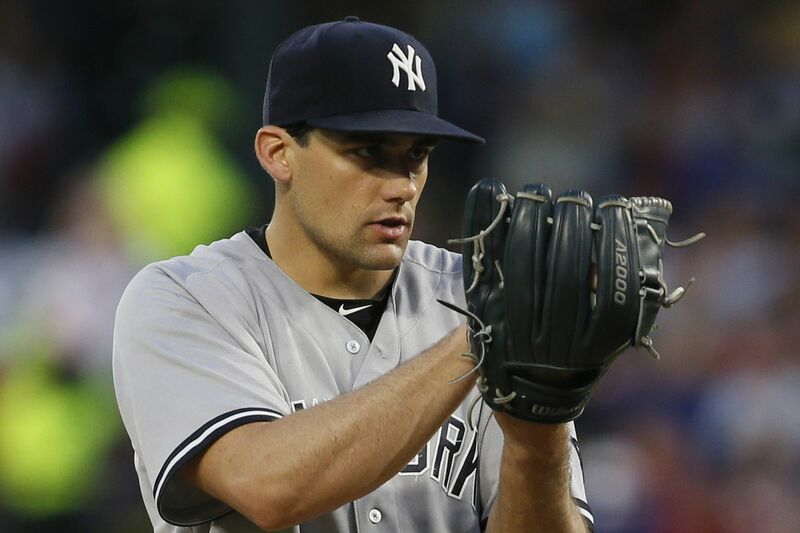 Nathan Eovaldi – coming off a no-hit bid which he owned through 6 innings – will square off against Red Sox 200+ million-dollar man David Price. To this point, Eovaldi has looked like the same pitcher he was in 2015, being inconsistent, but showing flashes of great stuff (which he showcased in Texas). The key for him will be to establish the splitter, and use it early and often. 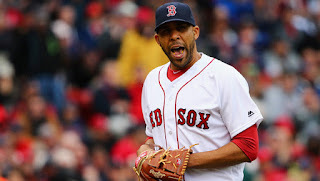 He’ll need to bring his “A” stuff against Boston’s ace David Price. Speaking of Price, he hasn’t gotten off to the start he perhaps wanted to in Boston through 5 outings. Despite his ERA of 5.76, the Sox have won all but two of his starts in 2016 (they lost when he failed to reach 4 full innings and allowed 8 earned runs). To be frank, Price is one of the top 5-8 pitchers in the game, but he hasn’t lived up to his ace status in 30 career starts against the Yankees (his most vs. any team). Still Price is 13-7 against the Yankees but his career ERA of 4.04, and WHIP of 1.30 with Yankee hitters hitting .253 against him are certainly intriguing. This is the most interesting game of the series, simply because you’re not sure what you’re going to get with either pitcher. Eovaldi’s entire career has been a roller coaster, and the Yankees have a tendency to knock Price out of the game before the 5th inning in one start, and then he goes out and dominates them over 7+ innings the next appearance against the Yanks. The still relatively young second baseman will be getting his first taste of the Yankees and Red Sox rivalry. Castro still leads the team in batting average (.289), RBI (12), hits (22) and OPS (.794). He also has just 11 strikeouts through 20 games, the fewest of any Yankee regular so he will look to stay in the groove he’s been in during the first few weeks of the season. A-Rod got off to an incredibly slow start to the season, and it has caused him to lose some of the fan support that was so prominent last season. With that said, he is coming off a game in Texas where he went 3-3 with a walk including his 3rd homer of the season. Still hitting .190 on the year, Rodriguez will look to build on his good game in a ballpark that he has enjoyed a lot of success in through the years. To this point in the season, Masahiro has been the Massive-Hero that Yankees fans so desperately desired when he was signed to his lucrative contract. Through four starts, he sits contently with a sub-3.00 ERA at 2.92 and has allowed 2 earned runs in each of his first four starts. Although he hasn’t gotten much run support (none of the Yankee pitchers have), he’s enjoyed a fantastic start for the Yankees. 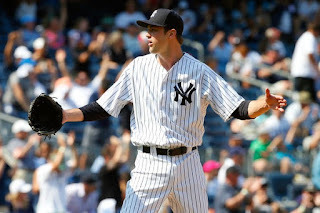 He’ll get the ball in game one on Friday night looking to get the Yankees back on track heading to the weekend, and I expect nothing short of a solid outing from the Yankees number 1 starter. Believe it or not, Betances actually gave up an earned run on a solo home run in Texas, so his ERA now sits at an adequate 0.90. There’s no way around it, Betances has been nothing short of dominant in the early-going on the season which is what Yankee fans have been accustomed to. His repertoire of a fastball in the upper 90s as well as a knee buckling curveball have been lethal out of the pen. If the Yankees can get a lead, then hand the ball to Betances and Miller, they’re going to be in good shape. Just like Betances, Andrew Miller has also been dominant this season. He too has a fastball that sits in the mid-upper 90s and a slider that he can bury on righties, and have lefties reaching out of the zone on to generate strikeouts. If he’s in the game, the Yankees are probably going to win the game, so the key is getting the ball into his hands. David Price will make his first start against the Yankees as a member of the Boston Red Sox in primetime on Sunday Night Baseball. For most Yankee fans, we hated to see Price go to Boston and now the Yanks will be tasked with trying to rough him up against his home crowd. Price will look to shine bright under the lights at Fenway on Sunday. Pedroia has enjoyed a very nice start to the 2016 campaign as he’s hitting .333 with an OPS of above .900. Pedroia has been a thorn in the Yankees side over the years as he seems always play his best when the Yankees come to town. The Yankees are going to have to contain him if they want to win the series. Betts is a guy who simply does it all for the Red Sox. He hits for average, power, runs well and plays a great outfield for the team. He had a slow start to his season but he seems to be picking up steam heading into the weekend against the Yankees. He’s always a tough out, so when he gets on base, he’s going to look to wreak havoc on the base paths. In his last season in the league, all eyes are going to be on David Ortiz, especially when he plays the New York Yankees. He’s caused Yankee fans alike an immense amount of pain in his career with the Sox and at 40 years old, he looks to continue doing that. He’s shown no signs of slowing down as he’s off to a great start, so the Yankee pitchers will attempt to cool him off this weekend. Pablo who? Shaw has been no short of Shawesome for the Sox so far this year (forgive me for my bad pun). 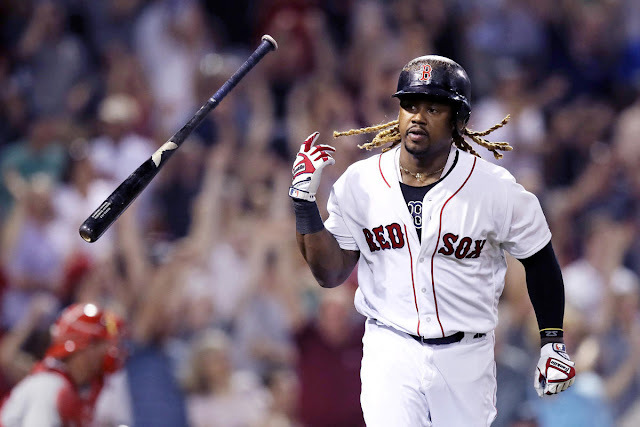 As a guy who mans both corner infield positions, he’s also hitting a ton with a batting average well over .300 and an OPS well above .900. to this point in his career, he’s been a streaky player but if he can sustain this pace, he’s a very dangerous player in the middle of the Red Sox batting order. The has been the storyline to the Yankees season so far. Their struggles with runners in scoring position are eye opening to this point, but the hope is that they can turn it around. Believe it or not, the Yankees have scored 3 runs or less in 15 of the 20 games. That is unacceptable and the Yankees have to score more runs going forward. It starts with hitting with runners in scoring position, and we hope it starts this weekend. Another storyline on the season so far has been the lack of depth that Yankee starters have given the team. Aside from Masahiro Tanaka (twice) and Nathan Eovaldi during the no-hit bid he took into the 7th, no Yankee starter has gotten through 7 innings this year. 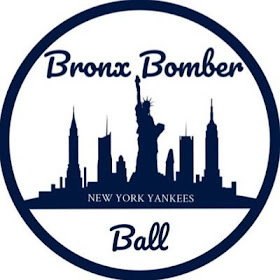 Obviously we aren’t expecting every Yankee starter to get through 7 innings this weekend, but if Tanaka can do it to relieve the stress off of the bullpen, that would go a long way in keeping arms fresh in the pen and winning the series. 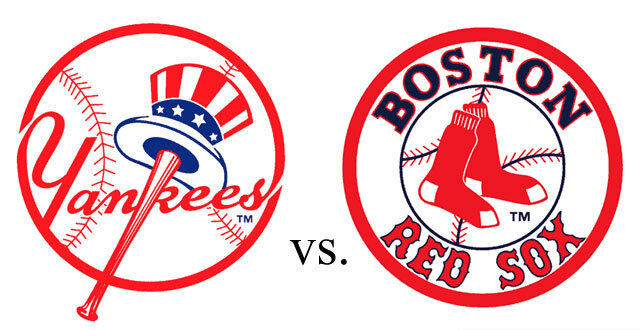 Game 3 will likely be the rubber match of the series and at first glance, things look rather bleak for the Yankees here. However, there is that room for optimism because of Price’s previous struggles with the Yankees. So, if the Yankees frustrate him early, the Yankees should get the win in game three. If not, it could be another painful night watching the Yankee offense. 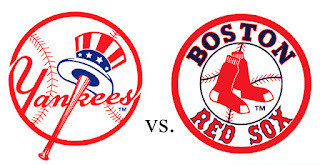 Simply because I want to remain optimistic, I will go ahead and say that we should expect the Yankees to take two of three in this series with the Red Sox. I think Tanaka will have a great outing in the opener to get the Yankees in the win column. Additionally, I think Michael Pineda is “due” for a good outing and Rick Porcello is “due” for a mediocre outing. If the Yankees can sustain the momentum from a hopeful game one win into game two, they’ll be looking at completing the sweep in Fenway on Sunday. Unfortunately, I expect Price to be electric in his first outing in the rivalry and that is the game that the Red Sox have the best chance of winning.